Each year, we throw over 300 million tons of fruits and vegetables away worldwide. Why? Mainly because of their aspect (57%). As the European Union made 2014 the European year against food waste, Intermarché the 3rd largest supermarket chain in France, decided to try and change their customers perceptions to encourage better behaviours towards the non-calibrated fruits and vegetables. How? By showing them that though they might be ugly looking, they are as good as any others. Intermarché made every effort to celebrate these “inglorious fruits and vegetables” the way they deserve to be celebrated. They got their own print and film campaign, their own local poster and radio campaign, their own in-store branding, their own aisle in store, their own labelling, and their own spots on the sale receipt. Finally, for people to realize that they were just as good as the others, Intermarché designed and distributed inglorious vegetables soups and inglorious fruit juices in stores. Intermarché launched “the inglorious fruits and vegetables”. 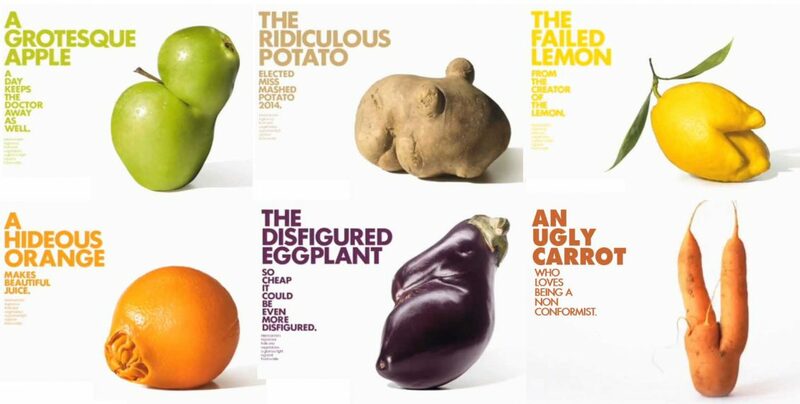 A campaign to rehabilitate the imperfect fruits and vegetables by celebrating the beauty of the ridiculous potato, the hideous orange or the failed lemon. For the very first time, a supermarket decided to change the way the system works. Intermarché bought from its growers the products they usually throw away, and sold them in stores just like any others, but 30% cheaper to make it attractive to its consumers. 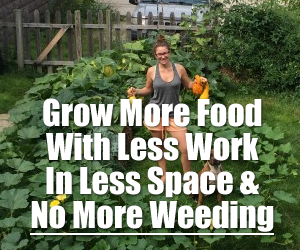 As long as they are not disfigured due to GMOitis. Thinking countries like France have a ban on GMO anything? Still good to eat if organic. Does not need to look pretty to taste good.